Army SSG Bryan Burgess died March 29, 2011, from wounds sustained after enemy forces attacked his unit with small-arms fire near Bagram Airfield in Kunar Province, Afghanistan. His platoon was ambushed while on patrol and an intensive battle immediately followed. Also killed were SFC Ofren Arrechaga, SSG Frank Adamski, SPC Jameson Lindskog, SPC Dustin Feldhaus, and PVT Jeremy Faulkner. Bryan was a true all-American boy. He graduated from Cleburne High School where he was a standout athlete who ran track, played soccer, baseball, and football. “He was a sweet guy,” classmate Hillary Cochran said. “He always had a smile on his face and was always friendly.” Following Burgess’ graduation in 1999, he completed one year at Hill College before enlisting in the Army. Nine years after he first enlisted, Bryan was making the Army his career. 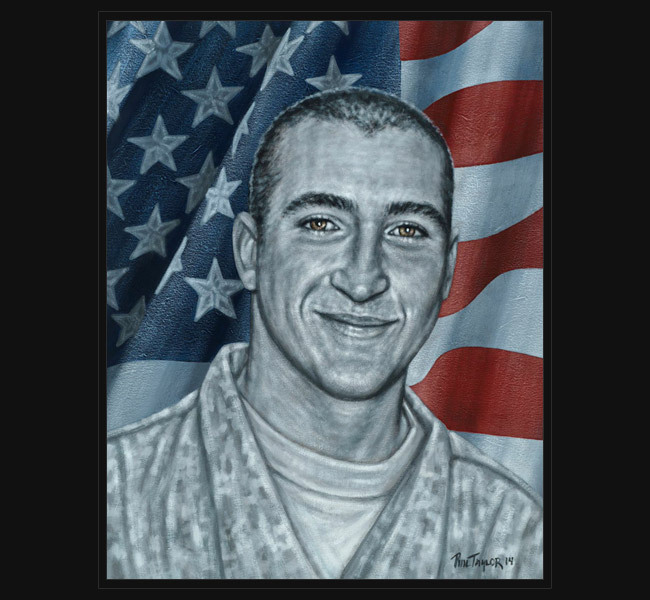 He was completing his third tour of duty in the Middle East, with only 26 days remaining before his return home when he was killed. His father, Terry Burgess, wrote, “As he grew, he became very interested in providing security for others. He worked for a security service with an eye toward joining the Police Force. He joined the National Guard, and then after 9/11 he told me, ‘Dad, I want to fight back,’ – and he did. He quickly rose through the ranks, earning the respect of his commanders and his men. He loved his family and wanted to provide them the safety and freedom that he cherished.” SSG Bryan Burgess is survived by his parents, sister, wife, daughter and son. In 2014, a film titled The Hornet’s Nest was released; the plot revolving around actual footage taken from nine days of battle in Afghanistan and the perilous situation a group of soldiers found themselves in, which resulted in several men being killed in the dangerous and hostile environment, referred to as “The Hornet’s Nest” by war photographer, Mike Boettcher, who was embedded with the unit.